Burger Boy Drive In’s sausage breakfast burrito. 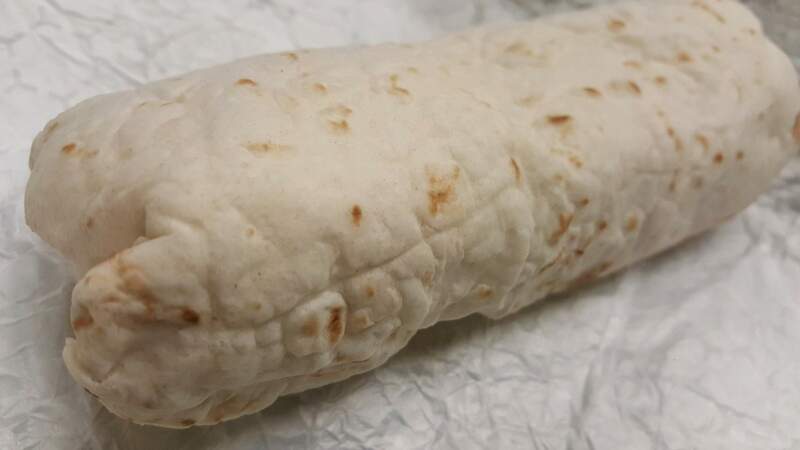 Burger Boy Drive-In’s sausage breakfast burrito. 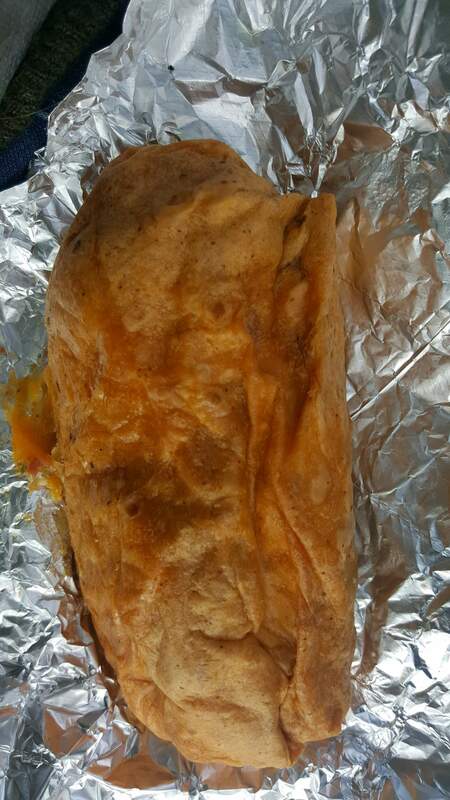 Absolute Bakery’s bacon and cheddar breakfast burrito. 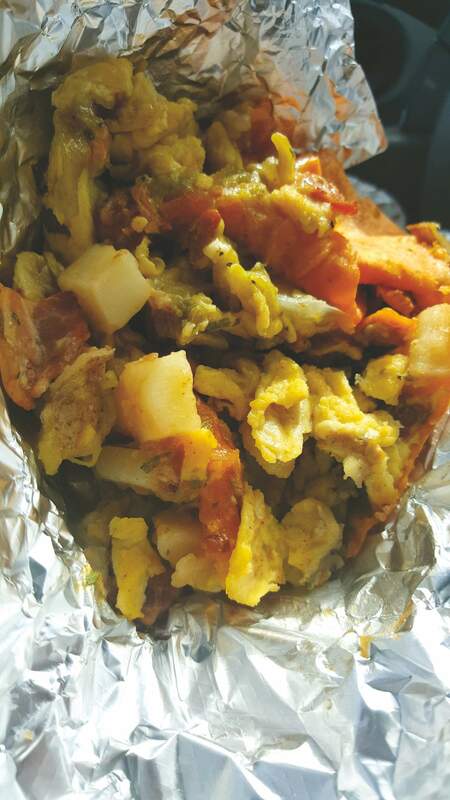 Habanero Grill’s Dream breakfast burrito. Loop’s Coffee House & Bistro’s bacon, egg, and cheese burrito. After our last swing at writing about breakfast burritos around Durango, we heard you guys loud and clear: We need more breakfast burritos. Many more. So, we took your suggestions to heart and expanded our reach outside of Durango, where there are apparently A LOT of really great burritos to try. 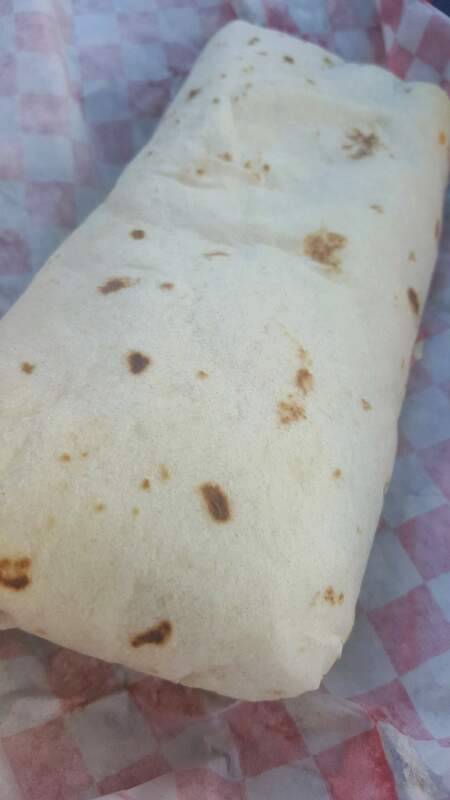 And yes, we know if you live in Durango it’s easy to just stay in town for a bite to eat, but in doing so, you’re missing out on a whole lot of amazing food, breakfast burritos in particular. Here are a handful of places we checked out, but if we missed your fav, not to worry – there’ll be more where this came from. Our thoughts: Loop’s Coffee House & Bistro is a charming drive-thru at the center of Dolores offering a mix of coffee, breakfast, and lunch options – including breakfast burritos. Over at Loop’s, they keep things pretty simple, but it is delicious simplicity. 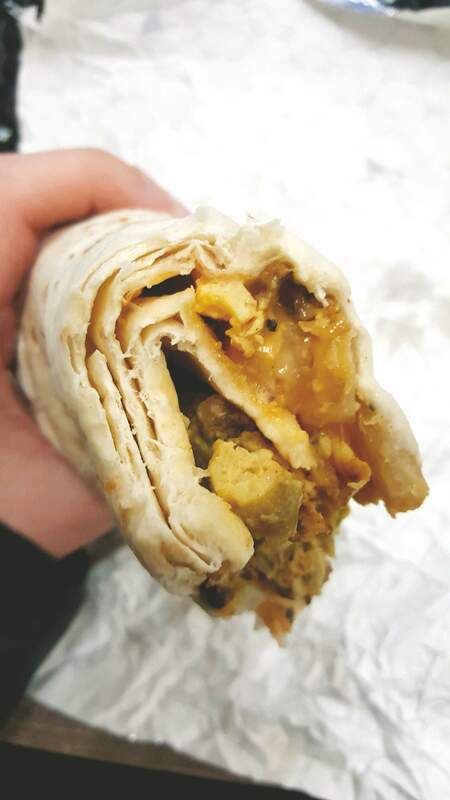 Customers can choose from meat lovers, veggie, bacon, sausage, everything, or just plain egg and cheese burritos. The drive-thru makes it a convenient manner to grab-and-go with your breakfast. Easy, peasy. We loved it. Our thoughts: Burger Boy Drive-In only serves breakfast burritos until 10:30 a.m., which was rough for us non-early birds, as we had to leave first thing in the morning from Durango. 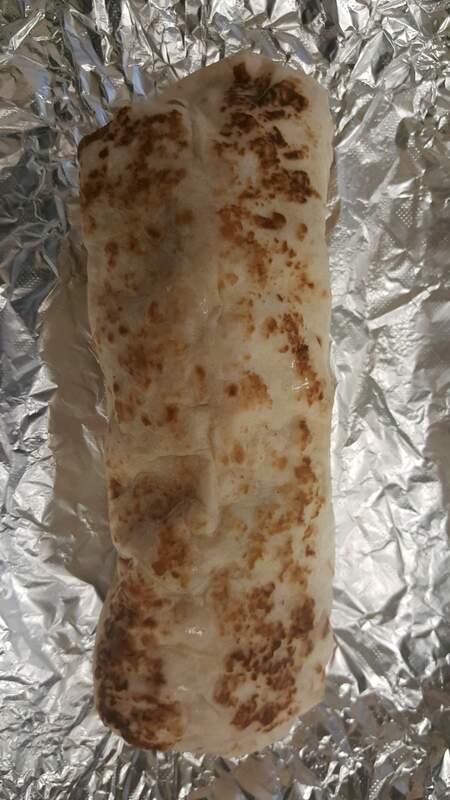 And while we’ll never be early morning folks, this burrito was worth the trip. 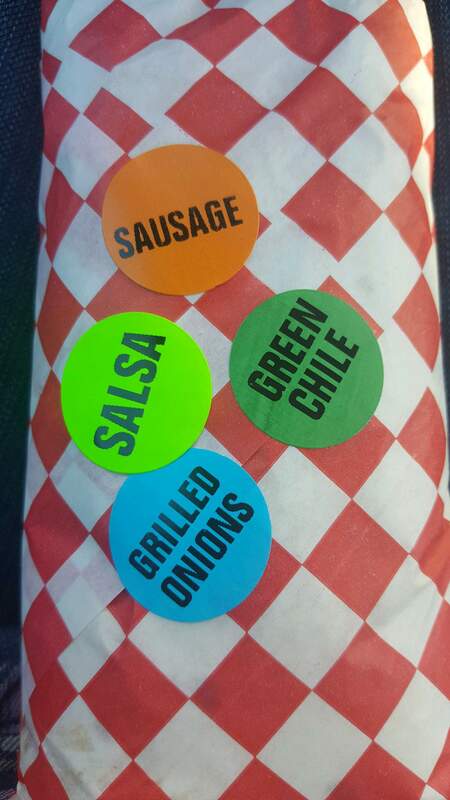 Burger Boy allows you to build your own breakfast burrito with the options of sausage, bacon, ham, chorizo, and ground beef. You can also choose between a variety of chile and vegetables. All their burritos come with scrambled eggs and cheese. 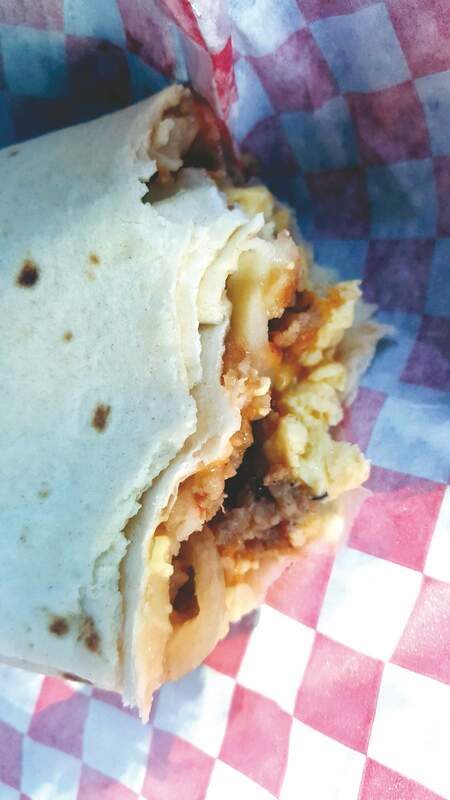 And, as with their other delicious comfort food, Burger Boy’s breakfast burrito hit the spot – juicy, huge and full of lots of different flavors, textures, and spice. Our thoughts: These wrapped-up bundles of joy pack a strong flavor punch, and we are not complaining. You can choose from either bacon and cheddar or spinach and Monterey jack cheese. In my usual carnivore fashion, I went with the bacon, and boy, was this breakfast burrito fully loaded and bursting with heavenly breakfast aroma. Aside from the bacon and cheddar, there were seasoned potatoes and scrambled eggs, all wrapped inside a red chile tortilla. 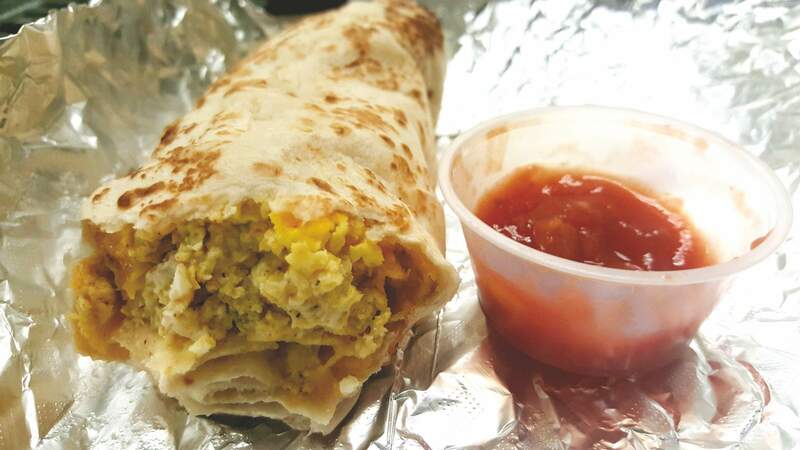 Habenero Grill, 910 NE Aztec Blvd, Aztec, N.M.
Our thoughts: You could probably get literally any breakfast burrito combination in the region by visiting Habenero Grill. I went for the Dream – a concoction of eggs, potato, green chile, cheese, and chorizo – though, to be honest, it was a difficult choice. The Dream had a sharp bite made even better by the side of salsa they added. Habenero Grill also has Farmington and Bloomfield locations.